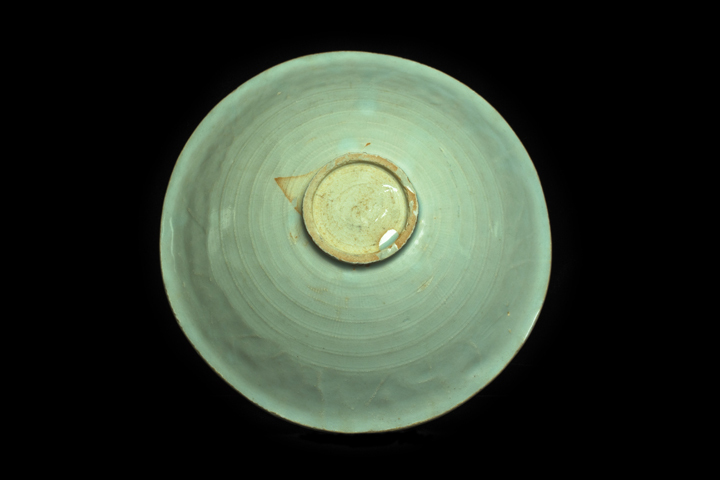 Appraisal: This Bowl is made in Jingdezhen kilns from Southern Song dynasty. 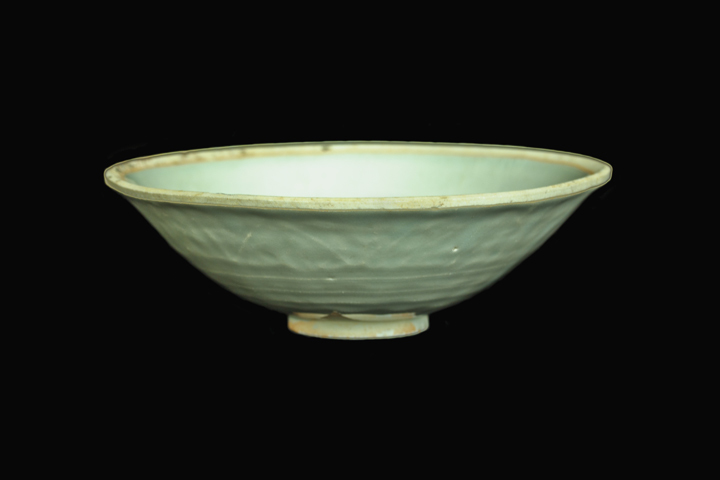 The modeling’s linear structure, the firestone red around the edge of the rim are in full compliance with the characteristics of the Celadon porcelain of late Southern Song Dynasty. The white clay body appears that the whiteness is subtle, but dense and sturdy, with a superb tactility. 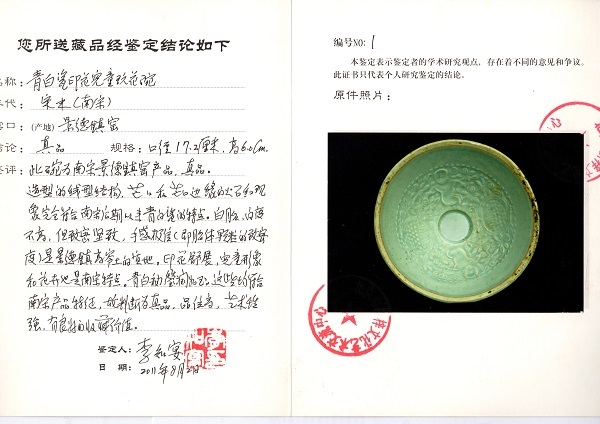 The texture is typical of Jingdezhen’s kaolin. The printed floral motifs are elegantly spread out with the image of the children and flowers, which are also typical characteristics of objects from the Southern Song dynasty. 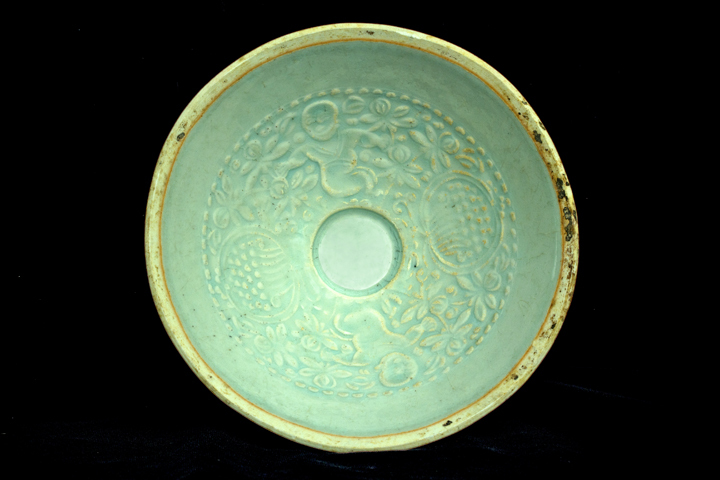 The celadon glaze is as glossy and smooth as jade. These are all in line with the characteristics of objects from the Southern Song Dynasty, therefore, it is judged as authentic. It is rich in artistic taste, contains high value for collection.